(born in 1930, died in 2008) – drawer, poster, graphic and set designer. Graduated from Jose Marti High School in Warsaw, he studied architecture at the Warsaw University of Technology. He made his debut in 1950, still as a student, in the competition organized by the weekly magazine Szpilki, where he became graphic editor later. Furthermore, his illustrations were published in Świerszczyk, Płomyczek, Polityka, weekly magazine Świat, Przeglądz Kulturalny. 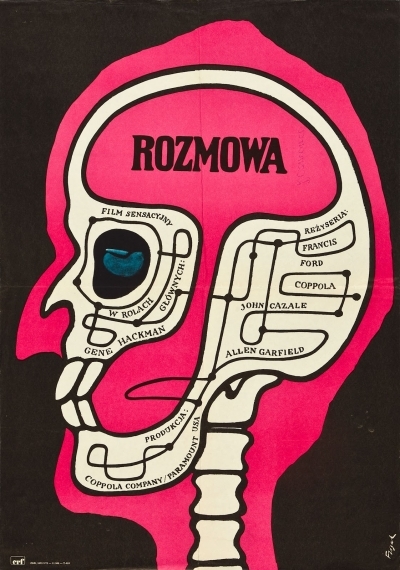 Flisak is also an author of many movie posters. Moreover he was interested in set-design and film animation. He cooperated with the Animated Film Studio in Bielska-Biała. The Style of his posters is often described as neglectful. It is deliberately ugly, non-aesthetic, painted with fat paintbrushes, done almost casually. This un-shapeliness and clumsiness of his style combined with inexhaustible Flisak's humour is a source of great power of his works.